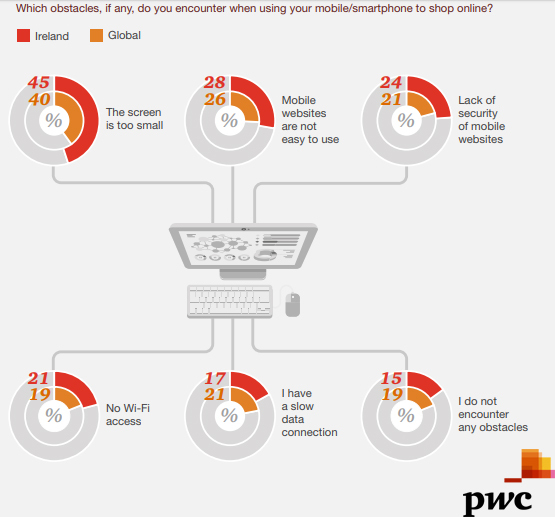 The growing penetration of smartphones has led to the increased use of these mobile devices to pay for goods and services, both online and in-store. Leading this move to mobile payment are shoppers in the Asia-Pacific region, especially China. Over two-thirds of consumers in China with web-linked devices use mobile payment services such as Alipay and WeChat Pay. 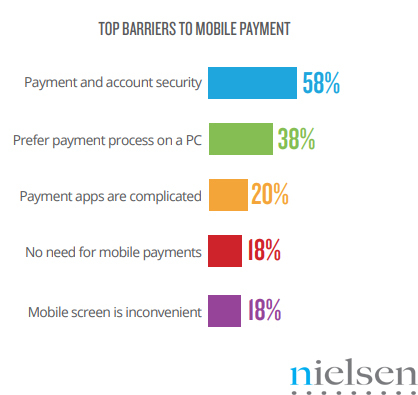 Payment & account security is ranked as the main barrier of mobile payments at a rate of 58%. Prefer payment process on a personal computer is ranked as the second barrier of using mobile payment with a rate of 38%. Payment applications are complicated comes at next as a mobile payment barrier at a rate of 20%. A Graph Shows The Top Mobile Payment Barriers In China, 2017. Nielsen is a global measurement and data analytics company that provides the most complete and trusted view available of consumers and markets worldwide. For more than 90 years Nielsen has provided data and analytics based on scientific rigor and innovation, continually developing new ways to answer the most important questions facing the media, advertising, retail and fast-moving consumer goods industries. Nielsen has operations in over 100 countries, covering more than 90% of the world's population.